Eric Djemba Djemba has joined Scottish Premier League side St. Mirren until the end of the season, hoping that regular football may improve his chances for a spot in Cameroon’s World Cup squad, the club announced on its website on Wednesday. “He is a top drawer player who does a power of work in the defensive midfield area,” said St Mirren manager Danny Lennon. “He wants regular football to ensure he goes to the World Cup with Cameroon this summer and we are happy to give him that platform,” Lennon told the club’s website. The 32-year-old midfielder has not been part of the Indomitable Lions set up for about two years but seemingly trusts in his capacity to bounce back. He will face stiff competition for the defensive midfield role where Cameroon has more than a dozen regular (and younger) contenders including Schalke’s Joel Matip, FC Barcelona’s Alex Song, among others. A decade ago, Djemba Djemba was one of Cameroon’s promising talents rising from Kadji Sports Academy near Douala to FC Nantes in France where he was recruited by Manchester United in 2003. 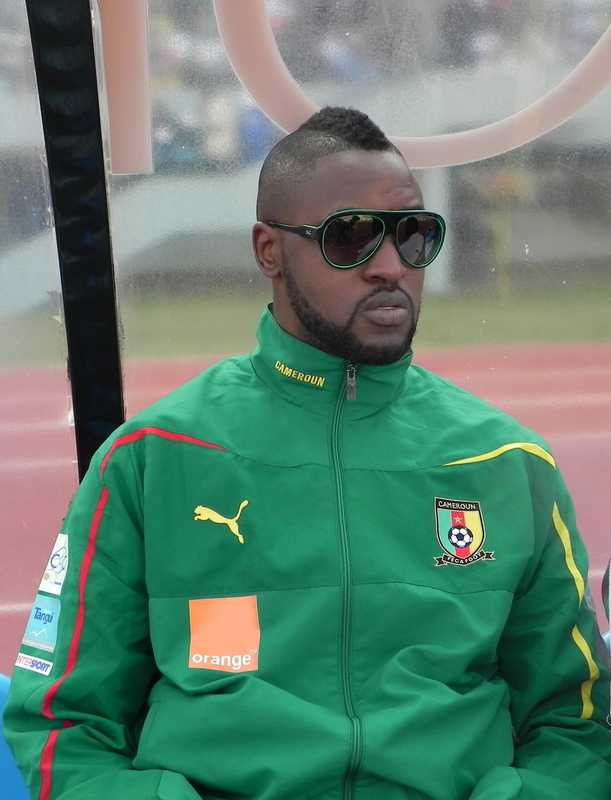 He was seen at the time as a potential replacement for then United captain Roy Keane but the Cameroonian failed to live up to expectation, making only 13 league starts in 35 appearances for Manchester United. He opted for a transfer to Aston Villa as he opportunities for a starting place in the team dwindled. This was followed by a downward spiral that took him to Burnley, then to Qatar SC before a resurgence at Danish side Odense. Before joining St. Mirren the one-time captain of Cameroon’s under-23 national team was at Partizan Belgrade. The Serbian club released him after he made just14 appearances since he joined last summer. Djemba Djemba’s bid to convince Volker Finke, Cameroon’s German born trainer, may start if he plays for St. Mirren in Sunday’s Scottish Cup match against Dundee United. St. Mirren Football Club which is ninth (9th) in the Scottish Premier League table, is based in Paisley, Renfrewshire, and was founded in 1877. 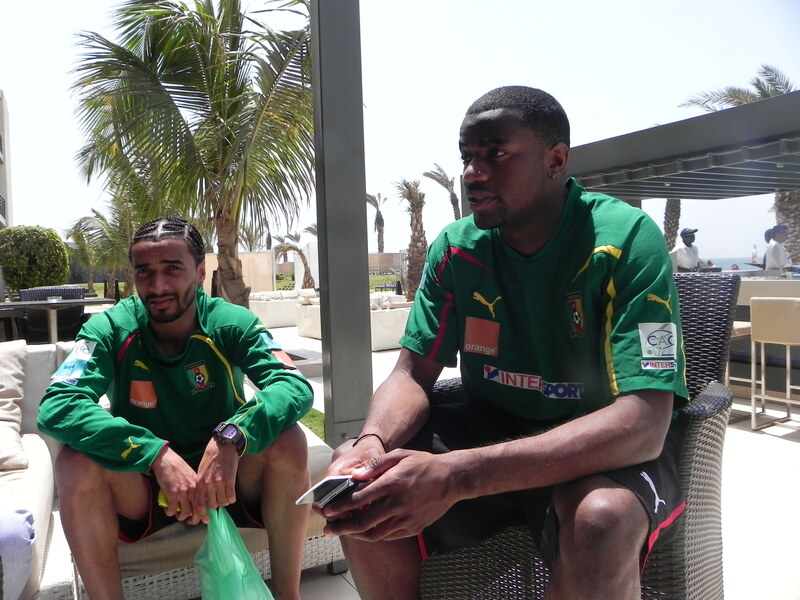 Cameroon’s Sebastien Bassong says despite perennial off-the-field issues, the Indomitable Lions hope to perform well, especially with Samuel Eto’o in the mix, at the soccer World Cup that kicks-off next June in Brazil. The centre-back who captains Norwich in the English Premier League told a British TV network that his national team captain Eto’o, often accused of being divisive, must be part of the World Cup squad and will come good. 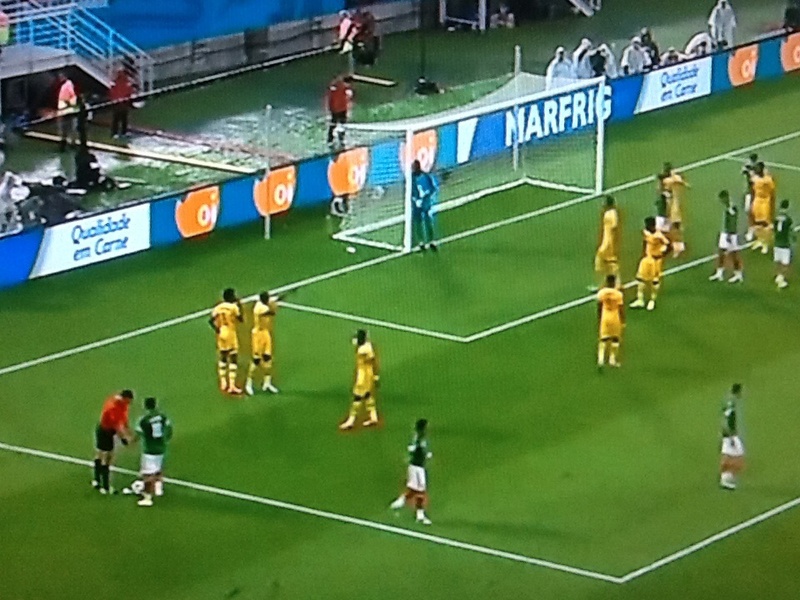 “He’s got to go to the World Cup. We will find a way to co-habit. Even if some people don’t like the fact that he is going to be there, we all want the same thing: Cameroon to do well,” Bassong is quoted as saying in excerpts of the TV interview published in The Guardian newspaper. “Samuel is a huge player for us, a huge character in the country – the most famous person after the president. Our pressure compared to him is nothing. But he’s born to handle that,” the 27-year-old Bassong said. 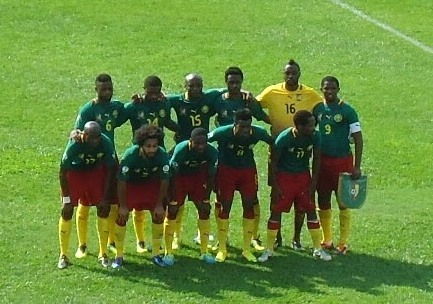 Bassong partnered Nicolas Nkoulou in central defence for Cameroon at the 2010 World Cup in South Africa but has since fallen behind in the pecking order due to a combination of injuries and form issues. With his regular starts and strong displays for Norwich, many observers expect him to return to the Lions’ den to fight for place in the World Cup squad. That would be another opportunity to team up with his friend and colleague Benoit Assou-Ekotto. Both men played for Tottenham Hotspur (and the Indomitable Lions of Cameroon) before the quest for regular football led Bassong to Norwich while Assou-Ekotto is on loan at Queen’s Park Rangers in the English second tier league. Bassong shares hilarious anecdotes about Assou-Ekotto who is famous for saying publicly that he is playing football because it’s a money-making job. “For him, it’s a job. I played with Benni at Spurs and in the national team. He used to not even know who we were playing against. Sometimes he would say about opponents or team-mates in the national team when the squad was changing, ‘Bass, who’s that?’, ” Bassong said. Assou-Ekotto’s tells it as he sees it and doesn’t fakes things as is common in football circles which surely explains why the deeply religious Bassong rates him as a friend. Read the full story in The Guardian here. The excerpts are based on an interview with BT Sport which is the UK’s newest sports TV service, with three channels showing a host of sport, including live top tier action from the Barclays Premier League, with 38 exclusively live matches. 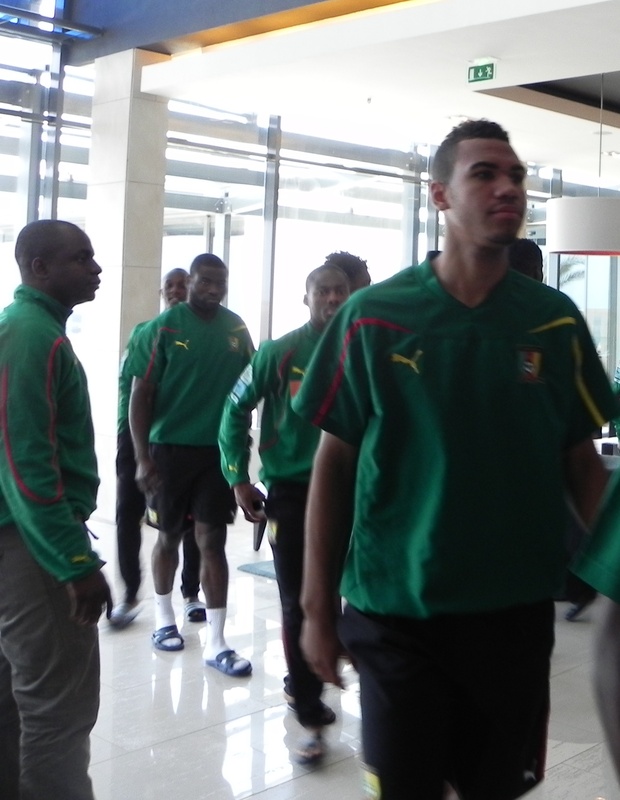 Barely five months to the World Cup in Brazil, Volker Finke, Cameroon’s head coach has been talking about what he hopes to achieve with the Indomitable Lions at the tournament. He spoke to fifa.com about instilling the importance of collective and possession football in the Indomitable Lions as they seek to improve on their dismal World Cup 2010 outing in South Africa. All of these statements seem to be in keeping with Finke’s philosophy which Gef’s Football Club outlined in June last year on the eve of the German’s first competitive game in-charge of the four times African Champions. Finke is all about a high pressing game, fluid tactics formations and a focus on the team and not individuals. At the time this blog wondered if a team so used to playing deep and soaking up pressure to strike via counter-attacks would be able to morph into a Barcelona type pressing team? Well, they didn’t have to become Barcelona. He simply chose the people who were ready to follow his instructions and style regardless of whether they played regular football in their teams or fans fancied them or not. It meant a rather difficult start with defeat to Togo (though the result was overturned by FIFA), goalless draws in Congo and Tunisia, a hard-earned 1-0 victory over Libya before a well deserved 4-1 thrashing of Tunisia in Yaounde in November. But surely even Finke realises that a lot of work remains to be done.